Volkswagen India showcased its new 2013 Volkswagen Touareg In India in January 2012 Auto Expo and since then there has been speculations about its launch in India. 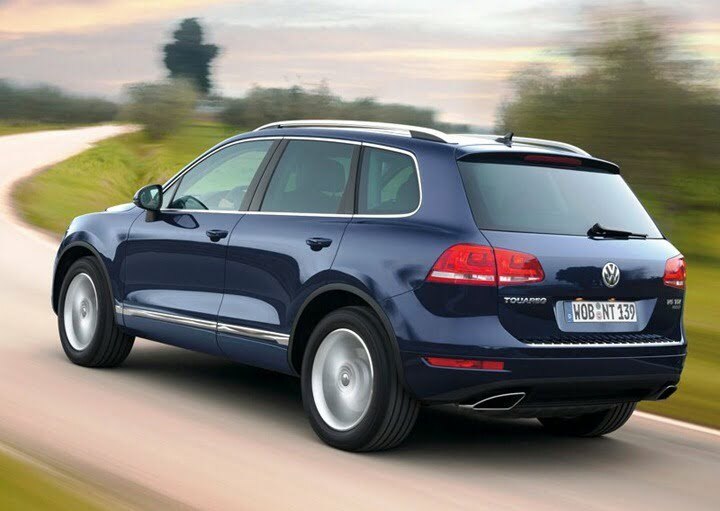 Finally, the 2012 Volkswagen Touareg has been launched at Rs. 58.50 Lakhs price tag ex-showroom New Delhi India. The Touareg is an aggressive looking SUV with plenty of muscle and luxury to offer which makes it an apt choice for off-roading, soft-roading as well as a city car at the same time with its versatile seating and luxury all packaged in one. 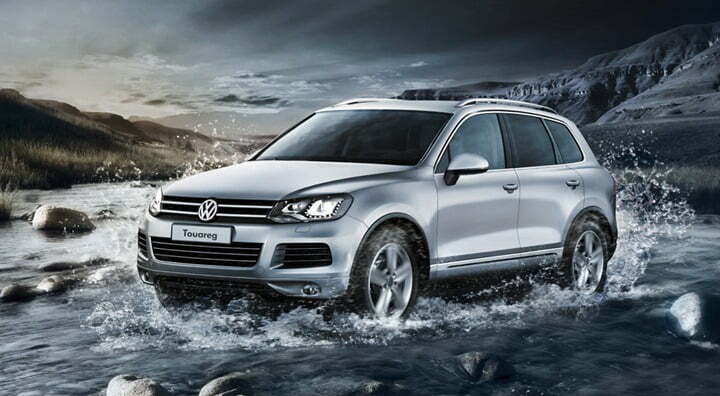 The Touareg is being imported to India as a CBU which is one of the reasons behind the premium pricing of this car. 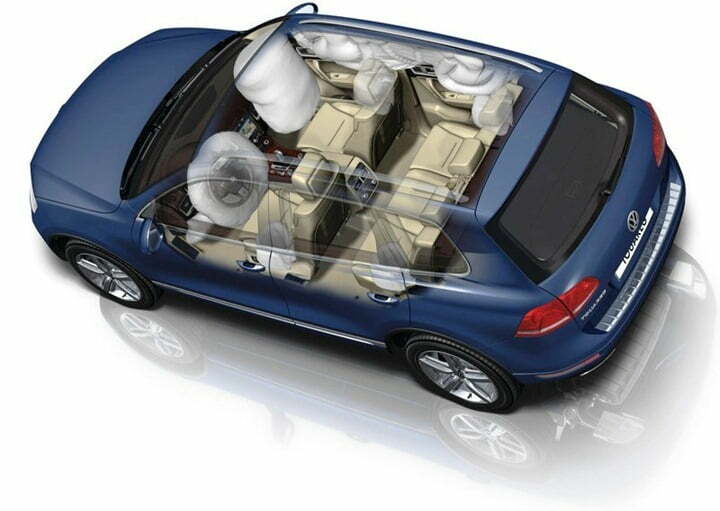 In India, the Touareg will be available only in a Diesel automatic option with a 3 Litre V6 TDI engine. This V6 diesel engine produces a peak power of 245 PS and a whooping peak torque of 550 Nm at as low as 1750 RPM. With the powerful motor and amazing torque numbers, the advanced V6 engine also delivers a decent 12.08 KMPL of mileage as tested by ARAI. 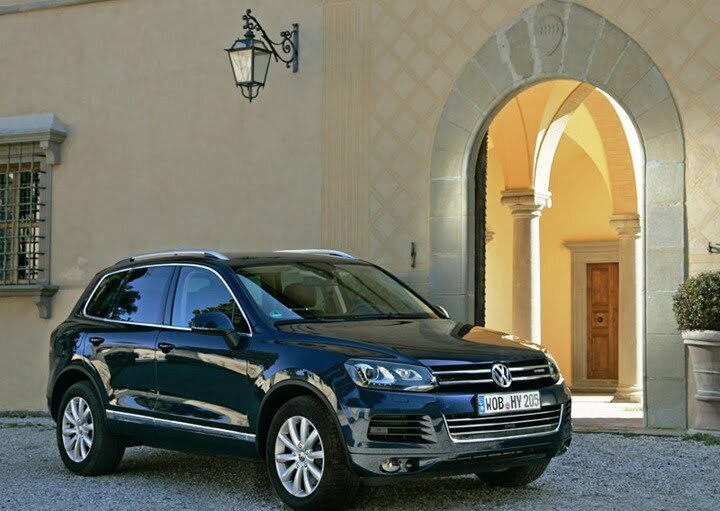 The new Touareg rides on 18 inch alloy wheels, has sporty roof rails, a panoramic sunroof, bi-xenon projector headlamps with LED daytime running lights. On the interiors, it offers Vienna leather upholstery, multifunction display system, decorative wood insert in dashboard, door trims and central console. It also features a two piece central arm rest which is movable and has a storage compartment. On the comfort feature, it offers 4 zone automatic climate control system, RCD 550 Audio system with MP3, MP4, 6 CD Changer and 8 speakers in the audio system. It has a 4 corner air suspension with electronic shocker control. There are 14 way adjustable front seats, park distance control system, hill hold system and cruise control to name a few. In terms of safety features, it offers ESP (electronic stability program), ABS and EBD, Dual airbags at front, side and curtain airbags for front as well as rear passengers. It has a permanent 4 wheel drive system with self-locking central differential, engine immobilizer and height adjustable front seats. Touareg is a premium SUV targeted at premium buyers, it features many top-of-the-line features and technologies in the SUV segment. Touareg will not generate high sales volumes for VW India, but will strengthen the Indian cars portfolio of Volkswagen in India. Stay tune for latest updates on Car Blog India.